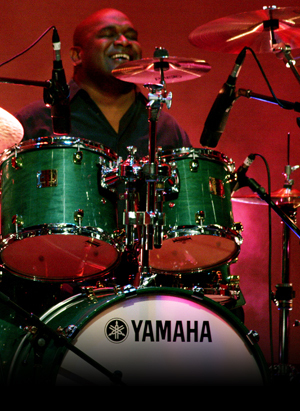 "I first saw Graham Lear of Carlos Santana play a Yamaha kit, but wasn't really sure what series it was. From then on I wanted a Yamaha kit and played an old Recording Custom 9000 series for years. Now, 20 years later after swapping and trying out different drum kits, I found the sound I was always looking for in the Maple Custom."